So, yesterday was Northern Rocks 2015 in Leeds and I returned to my university. Felt like being home again entering the gym where we used to play volleyball and the like. And I may have spent more time in the lecture theatres yesterday than I did in 4 years studying my primary education degree. The chance to learn from fellow professionals is something that is rewarding. People who I follow on Twitter sharing more than 140 characters and giving me more food for thought. More opportunities to question and evaluate decisions I make everyday and whether the things I do are always for the kids or sometimes to make the powers that be happier. I was so pleased to have 3 other members of staff with me because that meant we got to see more of the workshops. Had I been by myself I don&apos;t think I would have ever been able to choose the workshops to go to. So, first up was the discussion which although very valuable was very similar to the NAHT conferences recently attended. Laura Mcinerney was also very inspiring there too! She definitely knows her stuff and I know she is on the button! She may not be a teacher anymore but I know that she speaks from the heart and from the brain. What a great first choice as well. I&apos;ve long been reading Stephen&apos;s blog as a lot of what he writes about it what i also believe in. What is great teaching at our school - how is it defined - what is the vision! The first thought that popped into my head. Don&apos;t put anything on the paper that you feel needs to be. E.g. Differentiation. Planning had always been a wonder of teaching that takes so many forms and which ultimately is something that if not done properly can lead to unsuccessful teaching. However, planning does not always have to be on paper. Some of the best lessons I have taught have been thought up because of something read or something which has happened in the news the day before.not written, but something that is interesting, current and hooks the children in. It&apos;s bout the learning not the activity after all. The next point Stephen made was this..
What do we want him to know, what do we want them to do? How does great teaching fit in with this? Of course, it&apos;s about what we want them to learn and designing a learning sequence around this that excites and motivates the children to want to know the stuff! As you can tell I was already thinking hard. A sure fire sign of excellent CPD. "Be the designer of the learning not the planner of the activities." Not something new but it is good to be reminded of this at a time when we are always looking for new ideas to help learning when learning is actually the only key thing! When composing a learning sequence, Define the end point. What are the milestones for learning. The building blocks to achieving the end point. Can they do it? If not, redefine the planning. Find out what they don&apos;t know and teach it. Stop following the non-descript plans. Build in the processes for children to work towards so steps are taken to enable all to achieve the end goal. I had heard of Google forms before and know how to use them but had never thought of using them for staff CPD needs. Now I am and wondering how to go about it to make this successful for our school. - hoping to find staff willing to share some and then staff who need to learn some and pairing them up. What a great first session and left me excited for the rest of the day ahead. Is it a gap or a chasm? Was Alastairs first food for thought. The gap will remain unless we develop the children&apos;s understanding of learning and thinking. I&apos;m hoping this is something we are beginning to do in school and something we will continue to develop and build into everyday learning but it is also something that potentially non-educators (parents) also need to be able to understand. "Holy grail - psychological efficiency" has to be true! Mental health issues amongst young children is on the rise. We need to help children with this aspect of their health. But how? We are not psychologists, we may know some psychology but not all. But with the cuts to services we are trying to be psychologists as well as teachers and many other roles. "Do we spend too much time thinking about being a great teacher rather than being a great teacher?" But how do we differentiate between thinking about being a great teacher and learning about being a great teacher. This, I suppose then begs the question: Can you learn to be a great teacher? I&apos;m a keen fan of developing children as happy learners first and knowledge builders second and this session affirmed my view. My view of happiness as one of the key drivers to helping children succeed is something I will always strive for. Safe and happy children take risks (same for teachers). Give staff space to fail. First attempt in learning but don&apos;t allow repeated failure. Act on the failure to ensure achievement next time. 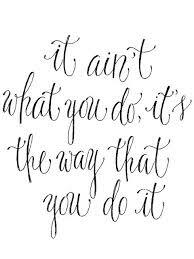 Teachers need to do the same - take a risk, if it works brilliant, if it doesn&apos;t don&apos;t do it again and learn from it. Lunch was great - I didn&apos;t even know it was free! Next up was The Real David Cameron. Not since being entertained by Hywel Roberts, Dave Keeling et al at Independent Thinking big day out in 2013 have I felt the need to just shout - yes! You are bloody brilliant! Yes, it was entertaining and full of swear words and rounded off with the clash, but he message was strong and powerful! The fact I made barely any notes because I was hanging on his every word shows how powerful and how incredible this man is as a speaker. "It&apos;s about adaption not adoption. It&apos;s about better than now, not better than them." We have amazing educators in Great Britain so why do we need as David says to swim to Sweden or sail to Singapore for ideas. We have the ideas here, we just need to make them more accessible for all. Unfortunately, CPD in some places is still not good enough and CPD is ill-informed and ran by people who have not been in a classroom for many many years. That&apos;s one thing that must change for CPD to develop. "Finding ways to engagement because that&apos;s where the gap is. How do they know what their life can be if we don&apos;t show it to them." Yes!!!! We need to inspire them, not just teach them. We need to show them what can be done and what they can achieve. Is it going to be easy? No!? But will we give up? No! Because that&apos;s what we do! We never give up on children and we give them chance after chance to make sure they have the chance to achieve!! This much I know about John Tomsett - he is an inspiration, a man who does things for his students and nothing else. Thank you John. Many thanks to Emma Ann Hardy and Debra Kidd - you two are fantastic!!! Straight from the horses mouth HMI came this advice on marking, feedback and scrutiny. When carrying out scrutiny of books in relation to marking/feedback. Do you scrutinise books for compliance or to look for evidence of effectiveness? Compliance - following the policy - ticking every box. Does it have a learning objective, is it presented well, does it have two stars and a wish? Green pen, red pen, pink for think, green for great, etc etc! Basically, that's not what matters. Its what is effective that matters! Effectiveness - Does the marking/feedback make a difference to the learning? Does it help the child to move their learning on? Has it impacted over time? E.g. Has the feedback been consistently used to improve work or is the child still making the same mistakes? So, do your teachers provide feedback which has impact on the progress of children's learning? If so, what does that good feedback look like? Note - if lots of feedback is about quantity of work, presentation or effort there is something wrong with the standards being expected in the class and/or with the activities. Focus needs to be on improving quality of work. Another focus point for scrutinies should be looking at how the curriculum is structured. Does the evidence in the books show a pattern of building on skills and them skills being developed? Are activities limiting the children? (E.g. boxes for writing). One very important point an inspector noted was the 'I can't believe they were this level last year' syndrome. This is not acceptable and will not be listened to. If a child is working say at Y3 ARE - the work set for them at the very start of Y4 should be the same. Work should not be easy for them to 'settle' them in. Every day counts and we should not waste them. The inspectors then reiterated the OFSTED myths that came out recently. We do not ask for a prescribed way of marking. We do not prescribe how often marking is done. BUT WE DO WANT TO SEE MARKING AND FEEDBACK THAT HAS IMPACT ON LEARNING AND PROGRESS. 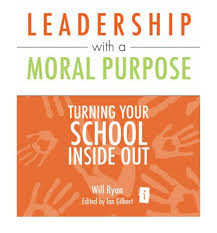 Having read this great book a few years ago while in a less senior position than now I picked it up again recently to remind me of Will Ryan's great advice on turning your school inside out and why we need to go back to basics and create the vision first. So that got me thinking about the Curriculum vision we have in school. What exactly was my vision as curriculum leader? How does curriculum 2014 fit in with my vision? It is statutory so it has to fit in somewhere. But there is the statutory and the 'other' stuff! What do I want children to have experienced before leaving our school and why? How does our teaching and learning vision fit in with the curriculum? So many questions whirring around in my head led me to the following. Although required by law to teach National Curriculum 2014 the main aim of our curriculum is to ensure children experience a wide variety of learning opportunities both within and outside of school that inspire, motivate, engage and develop the children’s knowledge, skills and understanding in many different areas of both educational and personal learning. Additionally, the purpose of our curriculum is not for them to pass a test but to give them the skills, knowledge and understanding to succeed in the future. Pupils who begin school in September 2015 will be entering high school in September 2022, College in 2028, University in 2030 and employment around 2033. So how are we preparing these children for their future? Be able to swim at least 25 metres confidently and have a go at surfing. Perform on stage to an audience. Know how and why leading a healthy lifestyle is important for their future. Visit all main areas of interest in our town and know its deep history extending beyond Victorian times. Represent the school in sport or take part in sports day. Take part in at least one risk taking adventure activity. Take part in and complete an animation/film-making project. Be aware of the dangers of water and know how to stay safe on the beach. Be aware of the dangers of e-learning but also of the benefits of it. Upload their work to the internet for the world to see. Have their writing produced in a book. Be able to use a variety of tools to design and make an invention fit for purpose. Experience a live performance of theatre. Take part in extra-curricular activities. Have the chance to learn how to play a musical instrument. Work alongside a professional writer/poet in school to become performance poets/speakers. Feel enthused and excited about learning in preparation for their transition to high school. Work alongside a professional artist in school to develop their art skills. Know and understand how their behaviour impacts on others and how to conduct themselves in the community and in school. Make ‘typical’ progress within the core subjects throughout their time in school and be ready to take on secondary school. Sea life centre, Peasholm Park, Scarborough Castle, North and South Bay, Cayton Bay, Marina, Raincliffe Woods, University Campus, College or 6th Form, Robin Hoods Bay, Danby Visitor Centre, Falling Foss, Stephen Joseph Theatre, Railway Station, Rotunda Museum, Grand Hotel, Scarborough fair collection, Playdale farm park, Scarborough Rugby ground, Scarborough Cricket Ground, Scarborough Art gallery, at least two different places of worship, pirate boat trip and Whitby abbey. The curriculum will continue to evolve - it is up to us to keep it moving forward but to maintain the core values of our school. It is not about just imparting knowledge onto the children. They need transferrable skills for the future and it is up to us to help them in developing these. Today, I visited Sheffield Hallam University to attend a seminar led by Dr Jenni Back who gave a talk about the differences in early years maths between here in the UK and in Hungary. Contrasting between the rigorous and systematic approach in Hungary to the development of Rich maths tasks (www.nrich.maths.orgnrich here in the UK. Here are the notes made. With the emphasis on algorithms in the new maths curriculum, children will not develop sufficient number sense and we will be in trouble! Proficiency - developing fluency with understanding. A key part of number sense! - ks1 entry - we assume they have conservation and counting. But do they? - ks2 entry - we assume they can add/subtract, know bonds to 20 and place value. but do they? - ks3 entry - we assume they can multiply/divide - but can they? - ks4 entry - we assume they know how to use proportional reasoning, but do they? What are the skills involved! How can it be progressed for each stage. - make sure that you prompt and question learners appropriately. - make mathematical discoveries explicit - presenting what they have learnt - what they have noticed! How is this different to Hungary? - emphasis on a range of concrete, iconic and symbolic representations and making links between them. - children spend a great deal of time on developing fine motor skills without the need for writing. They need to develop their learning muscles before they begin to write. - vocabulary is a constant and is expected of all. It is always used! Learning maths through play! - number pictures not numerals always used. Numerals are the last thing chn learn. Images of dice, Roman numerals, clock face, cuisonnaire rods and other things are used. This makes sure that children understand what a number means rather just knowing what the numeral looks like. The emerging thoughts from the seminar and all people involved were that the need for such rigour seen in Hungary and the creativity we now see in The UK need to be mixed together. In Hungary the progress of children is slow at first (as they learn all about number) but very soon their progress is rapid and sustained ! We emphasise the need for rapid progress immediately, but then this progress is generally not maintained, especially in Years 3 and 4. Could it be that what we have to do in years 3/4 in plugging gaps in place value and the number system is because we do not give the children a deep enough understanding of our number system from an early age? As always, lots to think about. But this did make me think about the issues in years 3 and 4 that most schools have.